Stanczyk was combing through dusty tomes again. Cough, Cough — excuse me. Jozef Wałcerz, Biechow parish priest, baptized Maryanna, daughter of the Nobleman Jan Gaspar Niedzwiedzki & Agnes of Biechow. 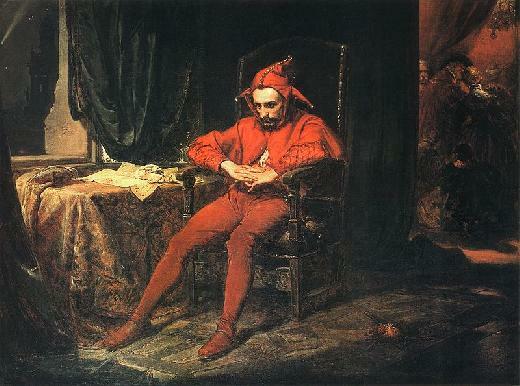 Her God Parents both were of noble birth were Jerzy Paczakowski of Słupia and Ewa Pawłowska of Sobowice. [regrettably I was not able to read Jerzy/George’s job/title]. So indeed, my ability to read priestly Latin handwriting from 1674 is fairly accurate (assuming my ability to translate early 20th century Polish is acceptable). The 1929 book does not put a slashed ‘l’ in Walcerz, but the priest himself did use the, ‘ł’ as the image above shows. At least, I verified the priest. 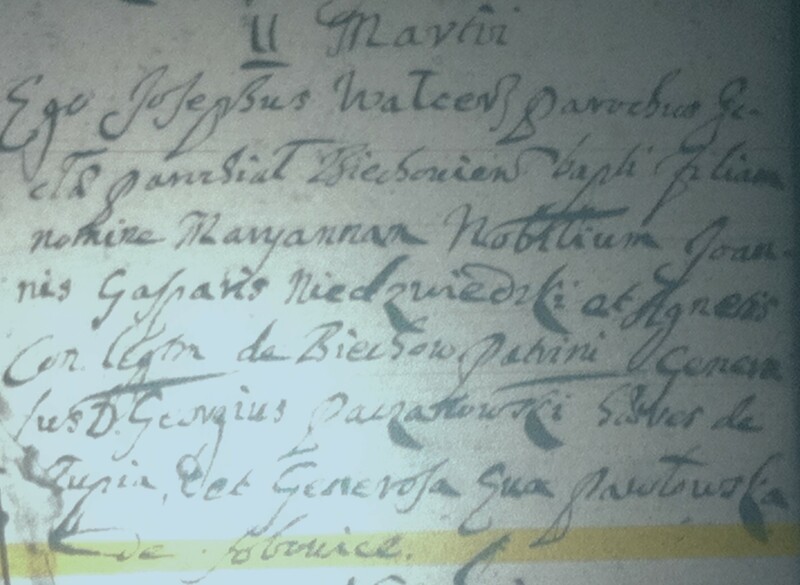 Can anyone verify the nobelman(Nobilium) or the two noble born (generosa) god parents from this church record? The Church book is from 1674-1675, so I am certain of the date. This was not from ‘Martius’, because on the facing page, this record and others were under the heading, ‘Julius’. The page tops were labeled with 1674. The heading of the record indicates ‘the 11th day in the morning’. The numbers in this tome do indeed range from 1 to 31, so this is indeed the day number and not the hour of the day. Anyone related to Jan Gaspar/Kasper Niedzwiedzki or his wife Agnes of Biechow or their daughter Maryanna? Send me a note and let me know. Have a blessed Sunday.